Have you ever listened to the locker room interviews following the “big game?” The winners are delirious with joy, anointing each other with champagne and basking in the thrill of victory, while the losers suffer the agony of defeat. That fact came to mind several weeks ago as I watched a sports documentary about the Buffalo Bills, arguably one of the greatest teams in history. The 1990 to 1993 Bills were the only team to play in four consecutive Super Bowls. Sadly, they are also the only team to lose four Super Bowl in a row—to the New York Giants in 1990, the Washington Redskins in 1991, and the Dallas Cowboys in 1992 and 1993. Twenty-five years later, the sting of those losses has faded, but as I listened to the Bills players being interviewed, it was clear that the memory of those disappointments is still very strong. I came away from it wishing, though I was never a Buffalo fan, that both sides could have won. But that isn’t how life works. Whether it’s sports, politics, or spiritual warfare, there are inevitably two sides—the side destined for victory and the side doomed to defeat. In spiritual warfare, which is the focus of this study, the winners are those of us who love our Savior, the Lord Jesus Christ. We look forward to His coming with great eagerness, praying “Thy Kingdom come; Thy will be done on earth as it is in heaven.” But before we lose ourselves in the ecstasy of that knowledge, let’s not forget that there will also be some tragic losers in that day. Unbelieving friends, neighbors, and loved ones face excruciating judgment, making the Second Coming of Christ bittersweet. 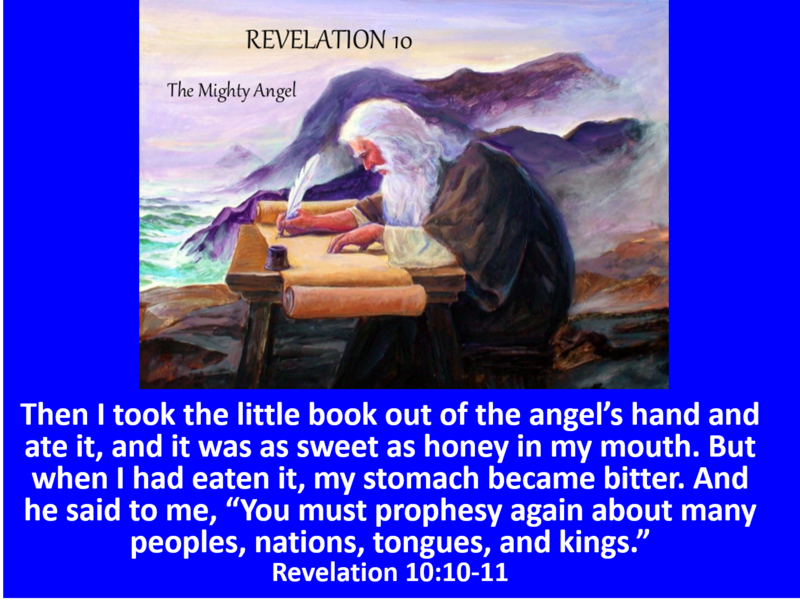 In Revelation 10, John describes it as tasting sweet to his mouth like honey, but turning bitter in his stomach. Why? Because the longer he pondered this great revelation, the more he realized that though it means eternal joy and glory for him, it will mean eternal death and damnation for millions who have never accepted Christ. This chapter is important to study, then, for two reasons. First, it includes several interpretative problems which could, if answered wrongly, undermine the doctrine of the Deity of Christ. Second, it provides us with a powerful reminder as we look forward to His Return. It reminds us that we have an obligation to do more than enjoy our salvation; we have a duty to rescue as many souls as possible before the fire of judgment falls. Let’s strive for both goals—comprehension and compassion—as we study what John has written. 1. Who Is This Mighty Angel? The first issue to resolve is the identity of the “mighty angel” in verse one. Many commentators say it is vision of Jesus Christ returning to earth. 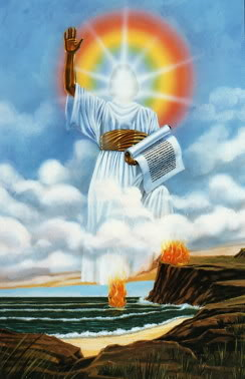 Their reason is the similar description of Jesus in chapter one (e.g., the rainbow on His head, His face like the sun, His feet like pillars of fire). But this claim is both wrong and dangerous. The danger is seen in what Jehovah’s Witnesses do with this verse. They use it as one of their proof texts for denying the Lordship of Christ. 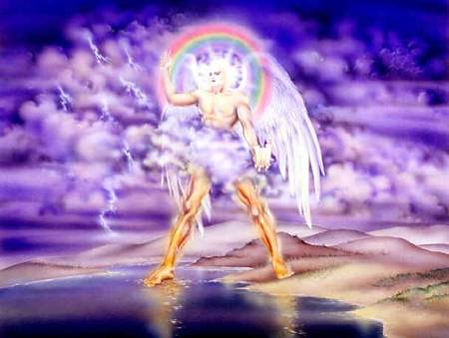 They say this “mighty angel” is Michael the archangel who is, in fact, Jesus Christ. In other words, Jesus Christ is not Lord; he is a creature—one of God’s archangels. 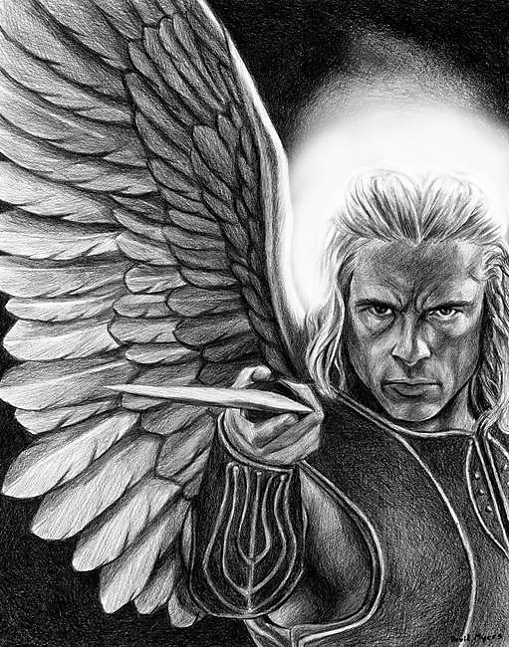 Given this distortion, we should be careful about identifying this angel as Jesus Christ. Two facts make such an identification impossible. First, the meaning of the word “another.” John literally describes this angel as “another angel, a mighty one.” The Greek word is allos, which means “another angel of the same kind.” But that isn’t the word John would have used if he were describing Jesus. He would have used the word heteron, which means “another of a different kind.” For the Scripture indicates that Jesus Christ is uniquely different from every other being who has ever existed. For example, Hebrews 1:4-6 says that He is “better than the angels,” and that all the angels are commanded to worship Him. Furthermore, John 3:16 calls Jesus “the only begotten Son of God. That phrase means “one of a kind,” indicating that there will never be another one like Him. Who, then, is this “mighty angel?” It is possibly the archangel Michael who is not Jesus Christ, but one of the “mighty angels” of God. Daniel describes him as “the great prince who stands guard over” the people of Israel. (Dan. 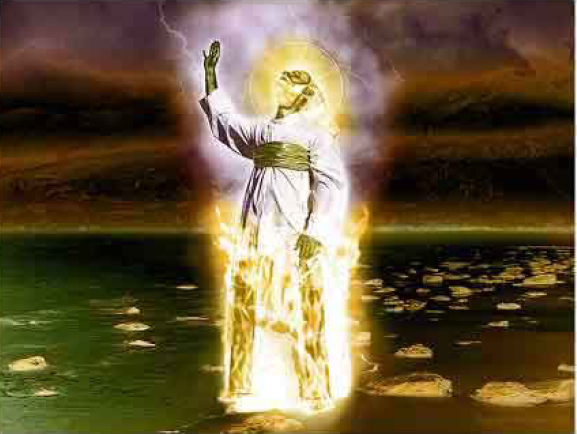 12:1) John later describes him casting the devil and his angels out of heaven. 2. What Does The Angel Look Like? Is this happening to you? Are you taking on more and more of the likeness of Jesus Christ? 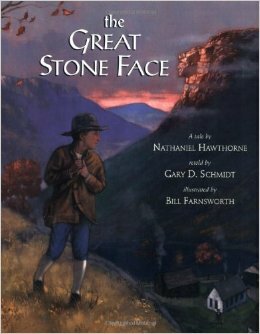 Nathaniel Hawthorne pictured what can happen in his story, “The Great Stone Face.” Once upon a time, there was a kingdom ruled so perfectly than when their great monarch died, the people determined that they would never have another king until they could find a man just like former ruler. Then, to keep his memory alive, they carved a great profile of their king on the side of a cliff. Beneath that cliff lived a little boy named Ernest. His mother assured him that one day another great man like king would come to rule their kingdom. But as the years passed and searches were made, no one like him was found. Then, one day, one of the king’s counselors stopped at the humble cottage at the base of the cliff and listened to a young man named Ernest deliver a discourse to his neighbors. Suddenly, in that young man’s face he saw the likeness of the king! How did the change take place? 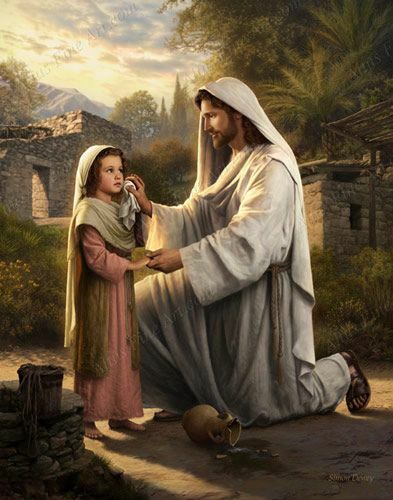 By meditating upon that great image day by day, as he plowed his field and cult his wood, the little boy grew to be like him, not only in the way he looked, but also in the way he thought and talked. This, the Bible says, is our goal as well—to be transformed into our King’s likeness by meditating upon His greatness. 3. What Is In The Angel’s Hand? 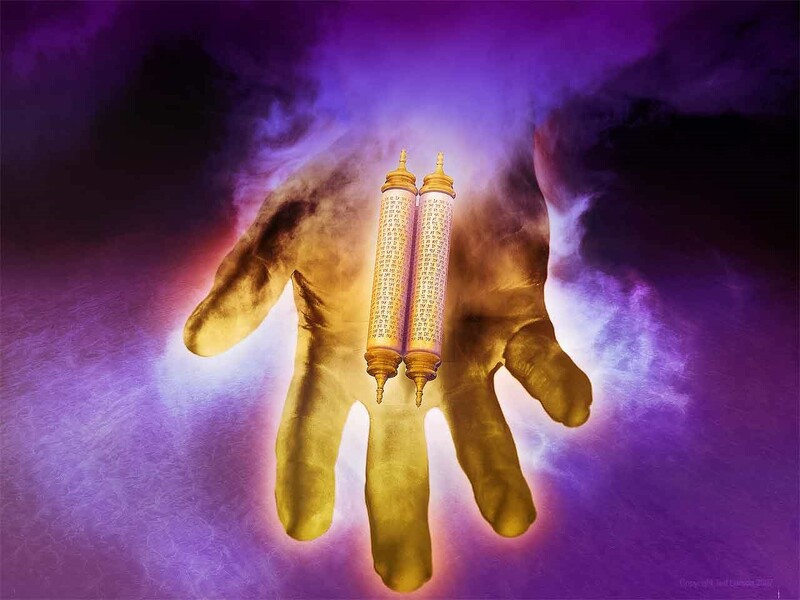 Revelation 10:2 says, “And he had a little book open in his hand.” This is the second interpretative question we need to solve. What is this little book in the hand of the angel? Some say it’s a new book that John is about to be given. But a better explanation is that it’s the same scroll we’ve been reading for the last three chapters. However, now that all but one of the seals has been opened, the scroll is described as a “little book open” in the hand of the angel. It is “little” compared to when we first read about the scroll in Revelation 5. Having read and released its judgments, all that remains of it now is the title deed to the earth, which gives Jesus the authority to reclaim and redeem the world for mankind. 4. What Warning Is Given to John? Notice two important facts here. First, the roaring of the angel. This is a symbol of God’s power and authority. Several Old Testament passages (Isa. 31:4-5; Hos. 5:14; 11:10; Amos 3:8) use it as a metaphor of His coming in glory. Whereas Satan often roars like a lion to frighten his prey (1 Pet. 5:8), this roaring is a declaration of victory. Standing in the authority of Christ, Michael lets loose with a mighty roar notifying the earth that the King is about to appear. So be careful about anyone who claims to be receiving “new revelations” from God! The Book of Mormon, the writings of Mary Baker Eddy, tracts left at your door by the Watchtower Society (Jehovah’s Witnesses), and the teachings of Rev. Moon are not new information from God. 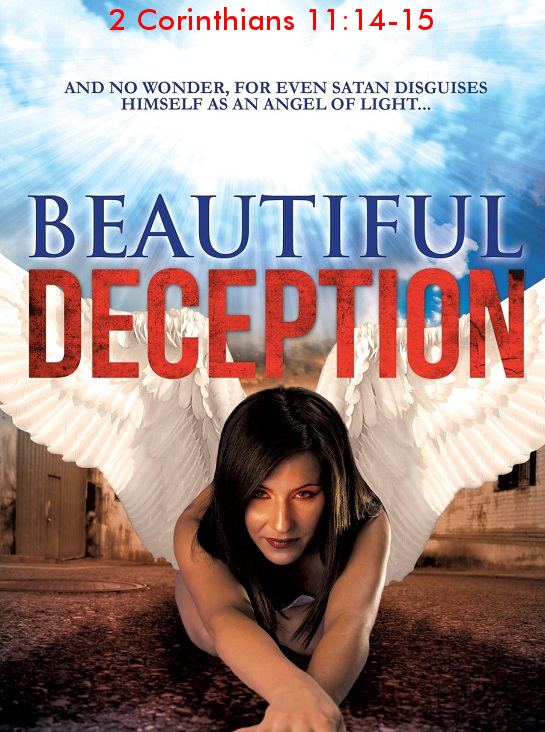 They are deceptions from the devil designed to confuse your mind and lead you away from the one true Christ. The scene is that of a courtroom. The angel lifts his hand in a solemn oath that what he’s about to say is “the truth, the whole truth, and nothing but the truth, so help me God.” This should not surprise us. When God first made His promise to Abraham, He took a similar oath. (See Hebrews 6:10.) It’s not that God’s Word was ever in doubt; it’s that you and I are people who are given to doubt. Therefore, to help us trust Him, God puts His messenger on the witness stand, reassuring us that every word we are about to read is faithful and true. Isn’t that interesting? American presidents will not testify in court during their terms of office because they feel it could be a threat to the independence of the presidency. Consequently, no president in modern history has appeared in court. Even Gerald Ford would not appear in court to testify against his would-be assassin. Instead, he appeared by videotape. But Christ has no such misgivings. The promise which is about to be given is so wonderful that He doesn’t want us to miss a bit of its blessing. He is so patient with our doubts that He orders His messenger to take a solemn oath, swearing to its utter veracity. 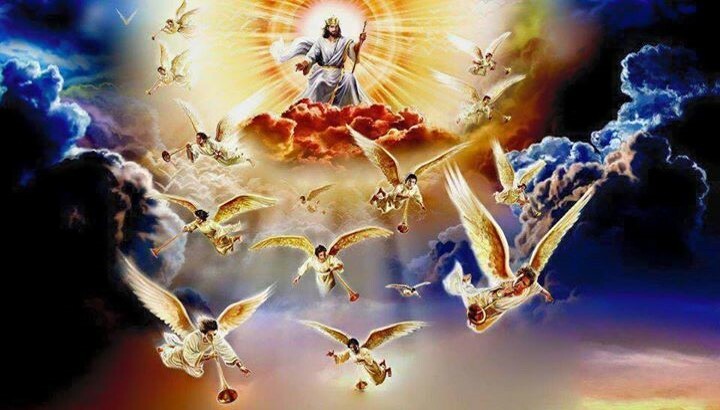 Revelation 10:6 adds, “… that there should be delay no longer, but in the days of the sounding of the seventh angel, when he is about to sound, the mystery of God would be finished, as He declared to His servants the prophets. You see, down through the centuries, unbelievers have scoffed at the idea of the Second Coming, especially in this scientific age. 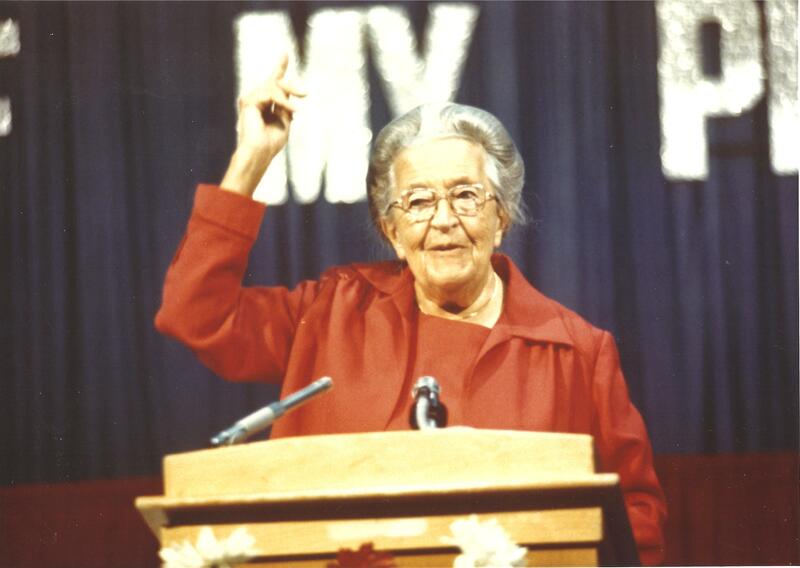 Corrie Ten Boom told about a heckler who interrupted one of her meetings. He laughed, “Don’t tell me you believe that Jesus Christ is coming back to earth again! Fools have been predicting that forever!” “Yes,” she said. “In fact, I’m more certain of it now than ever. Your very words convince me that His coming is very near.” “What do you mean?” the heckler asked. “Well,” Corrie explained, “you’ve just fulfilled Peter’s prophecy. ‘Knowing this first, that scoffers will come in the last days, walking according to their own lusts and saying, “Where is the promise of His coming? For since the fathers fell asleep, all things continue as they were from the beginning of creation.”’ So, you see, these must be the last days! Because you’re the very kind of person Peter was talking about.” Gulp! Christians, on the other hand, believe this promise with all their hearts. And yet, even we wonder, “Lord, why so long?” That, you’ll remember, was the cry of the Tribulation martyrs in Revelation 6:10, “How long, O Lord, holy and true, until You judge and avenge our blood on those who dwell upon the earth?” Now the Lord answers both questions with a resounding, “No longer! There will be delay no longer. They mystery of God will be finished.” To what does the “mystery of God” refer? The word means “a sacred secret” which has been hidden to the world, but has now been made known to the people of God. The specific mystery to which John is referring is the age-old problem of evil. Why does God allow the wicked to prosper and the righteous to suffer? Just as in Job’s case, the answer to “why” is not given, but the final solution is. All sin and sorrow will now be put to an end by the return of the King of Kings! Consider your situation for a moment. Have you allowed the disappointments of life rob you of your joy? Then arrest that joy-stealer by remembering the coming of Christ. Titus 2:13 counsels us, “Looking for the blessed hope and glorious appearing of our great God and Savior Jesus Christ.” Why is that helpful? Because when He comes, all tears will be wiped away. Oft-times the day seems long, our trials hard to bear, we’re temped to complain, to murmur and despair; but Christ will soon appear to catch His Bride away, all tears forever over in God’s eternal day. It will be worth it all when we see Jesus, life’s trials will seem so small when we see Christ; one glimpse of His dear face all sorrows will erase; so bravely run the race till we see Christ. Chapter 10 closes with two bittersweet instructions to the Apostle John. First, he is told to eat the little scroll which remains in the angel’s hand. Second, he is told to prophesy again about several key topics and characters that are to be involved in the Tribulation and the Second Coming of Christ. The eating of the scroll is important because it pictures God’s attitude toward judgment. In Ezekiel 33:11, the Lord says, “I have no pleasure in the death of the wicked, but that the wicked turn from his way and live.” 2 Peter 3:9 adds, “The Lord is not slack concerning His promise, as some count slackness, but is longsuffering toward us, not willing for any to perish but that all should come to repentance.” Here in verse 10 that attitude become visible as John eats the “little book.” At first, its news is “as sweet as honey” in John’s mouth, because he realizes that now the righteous will finally be avenged! 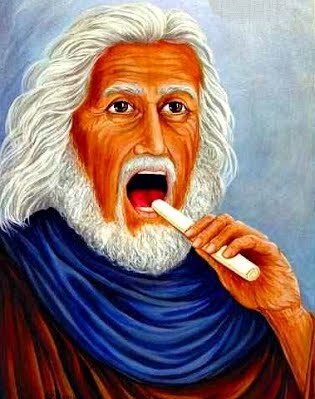 But as he swallows it, it upsets his stomach realizing that though it means joy for him and God’s people, it also means death and damnation for millions of others. Let that be your sentiment as you look forward to the Lord’s coming. Be excited about the blessings you and God’s people are about to inherit. But don’t be in a hurry for judgment to fall. Remember, there are multitudes who are to perish without Christ, multitudes who need your prayers. Will you do that for them? More than that, will you make a conscious effort to tell them about Christ’s love? The choice is up to you. Who will be the model for your life? Will it be John? Or will it be Jonah, who longed for God’s judgment to fall. Finally, Revelation 10:11 is a commandment to John, “And he said to me, ‘You must prophesy again about many peoples, nations, tongues, and kings.’” This is the most important verse for understanding the rest of the Revelation. As I’ve said before, chapter 11 marks the end of the Tribulation. As soon as the seventh trumpet sounds, “the kingdoms of the world become the kingdom of our Lord and of His Christ.” (Rev. 11:15) You ask, “Then where do the rest of the chapters of Revelation fit in the chronology of events? Verse 11 is the clue. It reveals that following the seventh trumpet, John is to prophesy a second time. Don’t miss this point! The details in chapters 12 to 19 are not events that follow chapter 11 chronologically. Instead, they are topical studies about key figures and events that will occur during the Tribulation which was just described. 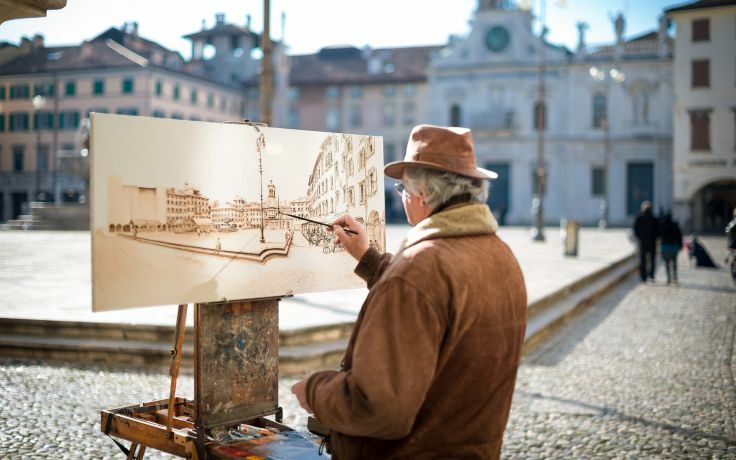 John is approaching his work like an artist preparing a canvas. Having sketched the general outline, he is now ready to go back and color in all the details. And again, the reason it upsets him is because of the horror of judgment to come. Judgment is always a blessing and a tragedy. For those who love Jesus, it’s a blessing, because of the deliverance it brings us. The Bible tells us that the planet itself will breathe a sigh of relief at Jesus’ return. (See Rom. 8:19-22.) But it won’t be a blessing to everyone. This chapter reminds us that for those left behind at the Rapture, it will be a tragedy of eternal proportions. The News Tribune printed such a real-life horror story. It described the events following midnight exercises in the Mojave Desert. 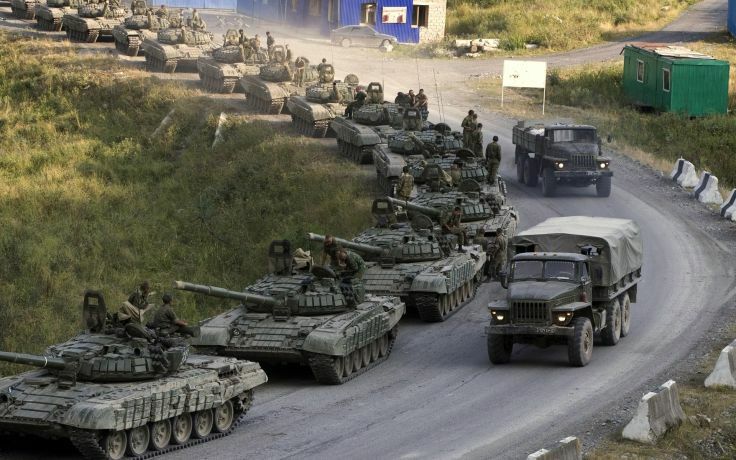 The men were anxious to get back to base. To remain in the scorching heat ((1200)) and dehydrating humidity (4%) not only meant misery, but certain death for anyone left behind. 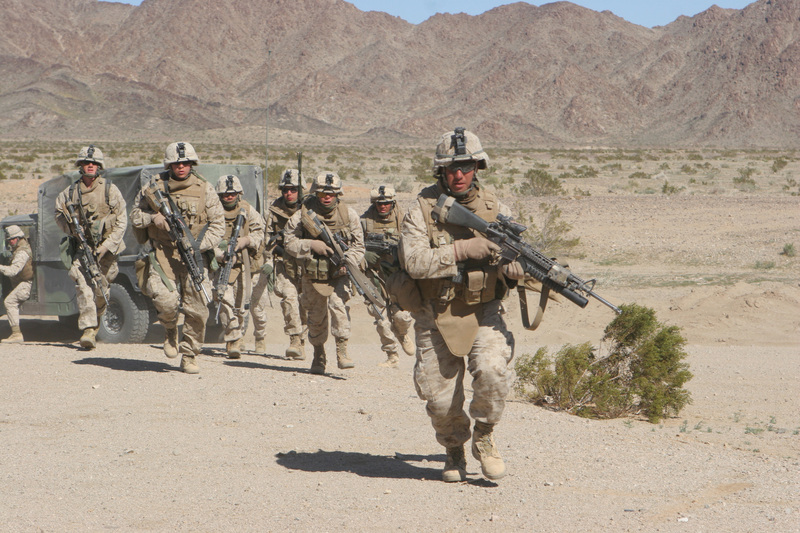 So the trucks began to roll, carrying thousands of Marines back to the safety of Twentynine Palms Base. Everyone except Marine Lance Corporal, Jason J. Rother. He’d been assigned to direct traffic in the dark. Before the final truck pulled out, he was to be picked up and carried back to the base with the rest of the men. But signals got crossed. No one remembered Rother until it was too late. The Marine in charge of arms reported that his rifle was missing, but the officers assumed that he was AWOL. In fact, it wasn’t until two days later that they decided to return to the desert and search for him. 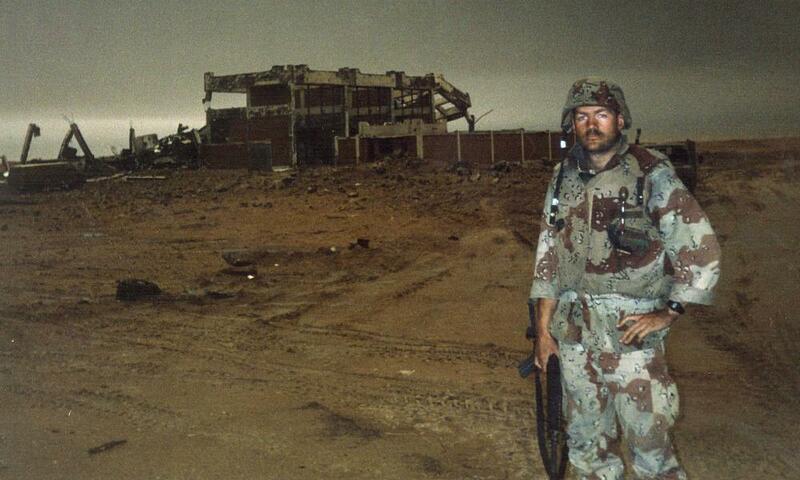 Imagine the terror that gripped Rother’s heart as he watched that last truck disappear from sight? As the hours passed, he must have wondered, “What do I do now? Do I stay here and hope they come back for me? Or do I start walking while the night air is still cool?” No knows for sure how long he sat and waited and prayed, but finally he began to hike toward the highway 18 miles away. He made it 17 miles. Then overcome by the heat, he laid down and died. What a needless tragedy! What a horrifying way to die! That’s a small picture of the eternally greater tragedy that’s about to befall many unbelievers you know. Christ is about to call His troops home, and when He does, a time of suffering will begin the likes of which no one has ever seen. But you can do something to make the bitter news a sweeter. You can begin to pray for one of the unbelievers in your life, that God will use you to lead them out of danger to safety in Christ. Remember, wherever there’s a spiritual winner, anticipating the thrill of victory, there’s a spiritual loser suffering the agony of defeat. So act now while there is still time. It’s the only thing that makes sense in light of His grace and love. This entry was posted in Uncategorized and tagged agony of defeat, Apostle John, archangel, believe, Bible, bittersweet, Christ, Corrie Ten Boom, Eternity, Great Stone Face, hell, Jesus, Michael, mighty angel. 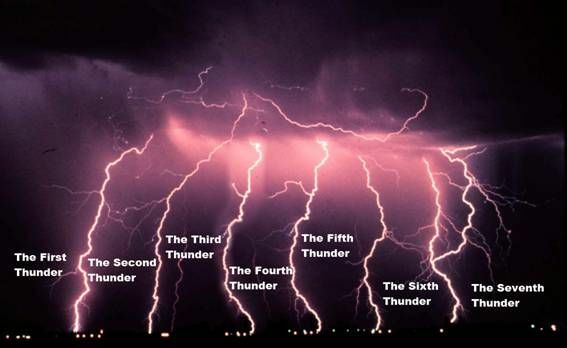 seven thunders, mockers, oath, promise, Prophecy, Revelation, scoffers, scroll, Second Coming, thrill of victory, tragedy. Bookmark the permalink. Fabulous teaching Pastor Gary! I liked the identification of the angels especially and the reasons that neither of them could be the only begotten of the Father. Great perspective on the signs of the times. Many things are happening in this world that point to the need (world view) of a single government to solve all of our problems. Environmental regulation, Occupational Safety and Health reasons, wars and rumors of wars all point to a future need of someone bringing all of this together so that the whole world can just get along. Jesus Christ will do a fine job of that but first that one world ruler will declare world peace and then all hell will break loose. Thanks for your teaching and preaching over the years. God bless you and your bride. Continue to preach in season and out of season. Thank the Lord for His solution to our sin problem. Jesus paid it all, all to Him I owe, sin had left a crimson stain, He washed it white as snow. I am and will be forever thankful for His pursuit of my lost soul. God bless you, Brother Bruce! He is coming soon! Thanks for taking time to study with us! God bless with love in Christ!